A GPS campaign network in the state of Jalisco was occupied for ~36 h per station most years between 1995 and 2005; we use data from 1998–2001 to investigate tectonic motion and interseismic deformation in the Jalisco area with respect to the North America plate. The twelve stations used in this analysis provide coverage of the Jalisco Block and adjacent North America plate, and show a pattern of motion that implies some contribution to Jalisco Block boundary deformation from both tectonic motion and interseismic deformation due to the offshore 1995 earthquake. The consistent direction and magnitude of station motion on the Jalisco Block with respect to the North America reference frame, ~2 mm/year to the southwest (95% confidence level), perhaps can be attributed to tectonic motion. However, some station velocities within and across the boundaries of the Jalisco Block are also non-zero (95% confidence level), and the overall pattern of station velocities indicates both viscoelastic response to the 1995 earthquake and partial coupling of the subduction interface (together termed “interseismic deformation”). Our results show motion across the northern Colima rift, the eastern boundary of the Jalisco Block, which is likely to be sinistral oblique extension rather than pure extension. We constrain extension across both the Colima rift and the northeastern boundary of the Jalisco Block, the Tepic-Zacoalco rift, to ≤8 mm/year (95% confidence level), slow compared to relative rates of motion at nearby plate boundaries. We would like to thank Jeff Genrich and Tom Herring for helpful discussions. Support for this research was provided by National Science Foundation grants EAR-0510395 (J. Stock) and EAR-0510553 (C. DeMets). Data are processed using the software packages GAMIT and GLOBK, developed at the Massachusetts Institute of Technology by T. A. Herring and D. Dong (Herring et al., 1990; Feigl et al., 1993 ; Zumberge et al., 1997; Dong et al., 1998). Inputs into GAMIT are the data files, session specifications (year and day, receiver and antenna types, and antenna heights), and good initial station coordinates. Outputs are the loosely constrained solution files, which are passed to GLOBK for multi-session processing. A least-squares analysis is used to obtain the GAMIT solution files, and a combination of well-defined reference frame and Kalman filter with white noise are used in GLOBK to obtain the station coordinate time series and velocities. The recursive, time-domain Kalman filter (run eight times) estimates the state of a dynamic system from a series of incomplete and noisy measurements, such as campaign GPS data (Mao et al., 1999); only the previous time step and the current measurement are needed to estimate the current state, with a linear relation used in the calculation, making it computationally efficient (Herring et al., 1990). The Kalman filter uses a multivariate normal distribution for the process noise, which is independent of past process noise for every time step (i.e. the Markov process). In the simplest case, the Markov process allows separate noise levels for the north, east, and vertical components of position (we use 2 mm/year in the horizontal directions, 5 mm/year in the vertical direction). The same a priori position and velocity constraints for each station are used in GAMIT and GLOBK, and are obtained from standard ITRF2000 files for the North America reference stations, and from the online Scripps Coordinate Update Tool for the campaign stations. Rotation and translation of three components of position and their rates are permitted when determining the reference frame in GLOBK. We iterate the reference frame solution eight times in order to stabilize the coordinate system, with 75% weighting on the coordinate sigmas of the previous iteration, and a 4-sigma cutoff for sites that are discordant with a priori values. Height residuals allowed in the stabilization are limited to 5 mm between the best and median for position (and 5 mm/year for the related rate), and 3 mm for the rms position (and 3 mm/year for the related rate). Earth orientation parameters are tightly constrained in GLOBK by Markov process values of 0.25 mas/day in orientation and 0.1 mas/day in its rate of change. Since final orbits are used, a priori GPS satellite orbital parameters are also tightly constrained, with correspondingly tightly constrained random walk variation allowed while processing multiple sessions. Changes to orbital parameters due to random noise are constrained to 10 cm/day in XYZ, 0.01 mm/s/day for the XYZ time derivatives, 1%/day in direct and y-bias non-gravitational parameters, 0.1%/day in b axis bias and once-per-rev parameters, and 1 cm/day for SV antenna offsets. We assume a simplified geometry: three blocks (the Jalisco Block (JB), North America (NA), and the Michoacan Block (MB) (e.g. Johnson and Harrison, 1990) meet at a continental triple junction formed by the Tepic–Zacoalco rift, the northern Colima rift, and the Chapala rift. GPS sites UGEO and UMON are on NA; GPS sites CEBO and CGUZ are on the MB; and GPS site TAPA is on JB. We assume a flat-earth geometry because of the close spacing of these stations (<100 km separation). We use the results from Appendix 2, Table 2 to constrain the velocity of NA and the MB relative to the JB, assuming no compression across any of the boundaries, as follows. UGEO and UMON lie on NA, and should move together with respect to TAPA. Thus, the velocity of NA must lie within the intersection of the 95% confidence limits of the UMON and UGEO velocities relative to TAPA (red region in velocity diagram in Fig. 2b). Similarly, the velocity of the MB must lie within the intersection of the 95% confidence regions of the CEBO and CGUZ velocities. We assume no compression across the Tepic–Zacoalco rift, which trends N56°W. Therefore, the velocity of NA with respect to TAPA must lie northeast of a line with an azimuth of N56°W. This confines the allowable velocities for NA to points within the region shown in red in Fig. 2c. We assume no compression in the northern Colima rift, which trends N–S. Thus, the velocities of stations on the MB (CEBO and CGUZ) must lie east of a line trending N–S from the origin. This requires their velocities to lie within the green region shown in Fig. 2d. We assume no compression across the east–west trending Chapala rift. This eliminates velocities of NA from Fig. 2c that lie south of the southernmost point in the green velocity field in Fig. 2d, yielding the possible velocities of NA relative to block JB, shown in red in Fig. 2e. Similarly, we eliminate velocities of stations CGUZ and CEBO from Fig. 2d that lie north of an E-W line that passes through the northernmost point of the allowed velocity field for NA in Fig. 2e. The velocity for the MB then is restricted to the green field of Fig. 2f. This yields the following constraints on the velocity triangle at the Guadalajara triple junction. At 95% confidence, the velocity of NA relative to the JB can lie anywhere in the red shaded region of Fig. 2e. The velocity of the MB relative to the JB can lie anywhere in the green-shaded region on Fig. 2f. However, the combination of velocities (one point from the red field and one point from the green field) must further satisfy two additional constraints. First, the red point cannot lie south of the green one (otherwise there would be compression across the Chapala rift). Second, the points on the velocity triangle must have the same topology as the blocks in map view (i.e. the JB, NA, and the MB must be encountered in clockwise order going around the triangle). A velocity triangle with the JB, NA, and the MB in counterclockwise order would imply that at least one of the boundaries is compressional. Altamimi, Z., P. Sillard, and C. Boucher (2002), ITRF2000: A new release of the International Terrestrial Reference Frame for earth science applications, J. of Geophys. Res., 107(B10), 2214, doi: 10.1029/2001JB000561. Becker, J. J. and D. T. Sandwell (2006), SRTM30_PLUS V2.0: Data fusion of SRTM land topography with measured and estimated seafloor topography, 29 July 2006, ftp://edcsgs9.cr.usgs.gov/pub/data/srtm/SRTM30. Marquez-Azua, B. M. and C. DeMets (2003), Crustal velocity field of Mexico from continuous GPS measurements, 1993 to June 2001: Implications for the neotectonics of Mexico, J. of Geophys. Res. 108 (B9), 2450, doi: 10.1029/2002/2002JB002241. Marquez-Azua, B. M. and C. DeMets (2009), Deformation of Mexico from continuous GPS from 1993 to 2008, Geochem. Geophys. Geosyst. 10, Q02003, doi: 10.1029/2008GC002278. Melbourne, T., F. Webb, J. 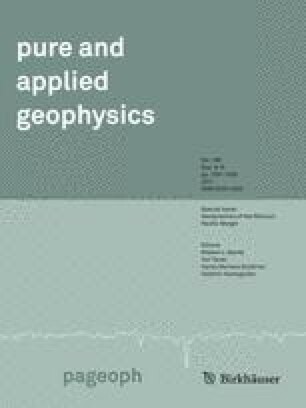 Stock, and C. Reigber (2002), Rapid postseismic transients in subduction zones from continuous GPS, J. Geophys. Res. 107 (B10), 2241, doi: 10.1029/20001JB000555. Yang, T., S. P. Grand, D. Wilson, M. Guzman-Speziale, J. M. Gomez-Gonzalez, T. Dominguez-Reyes, and J. Ni (2009), Seismic structure beneath the Rivera subduction zone from finite-frequency seismic tomography, J. Geophys. Res. 114, B01302, doi: 10.1029/2008JB005830.